Xanakis, Iannis. Philips Pavilion at Brussels International Exhibition,1958. 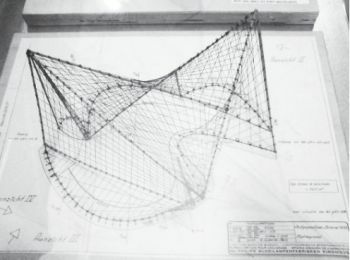 Ran, Ami, "Musical architecture: Le Corbusier's strange case of Iannis Xenakis." Architecture of Israel No. 89 (May, 2012): 12-17. Illustration p. 15. Library collections are rich sources of images in all disciplines and areas of study and art libraries in particular can be used to find reproductions of art from all geographical areas and time periods. In the Clark library, public scanners may be used to create jpeg or tiff files of images, found in books, that can be used in publications and presentations. Be sure to obey any copyright restrictions that may apply to the capture and use of scanned images and be sure to cite accurately the images you use. Many libraries, including the Clark library, have created digital collections that are freely available to the public through image-sharing sites such as Flickr and Pinterest, through online archiving sites such as Internet Archive and DPLA (Digital Public Library of America), as well as through their own content management systems and websites. Below is a short list of a few of the countless possibilities that can be found by searching the internet. Many databases allow you to search for images published in articles, books, and other sources. Those databases listed below that include full-text links will take you directly to the image if the resource is an e-journal to which we subscribe. In cases where no electronic source is available, the database will provide a citation that can be used to track down the print journal, from which the image can be scanned. The databases listed here are specific to art and architecture; they are just a few of the many that can be used to find images in the field of Art History and are indicative of the many more that can be used to find images in other disciplines. Companion indexes to art journals covering the art of all time periods and all geographic areas. From the Advanced Search screen, limit your search: find the Document Type box and select "Art Reproductions." Full-text links available. Companion databases to journals in the field of history; AHL covers the Americas and HA covers everywhere else. Find images by limiting a search to Document Type = Images. (Be aware that this search finds articles categorized as images and may miss scholarly articles that include images.) Full-text links are available. From the Advanced Search screen, limit a search by selecting from various options in the Physical Description box, including: aerial images, sketches, designs, engravings, elevations, plans, illustations, plans, photographs, models, and maps. Use the CTRL key to select more than one. Full-text links available.